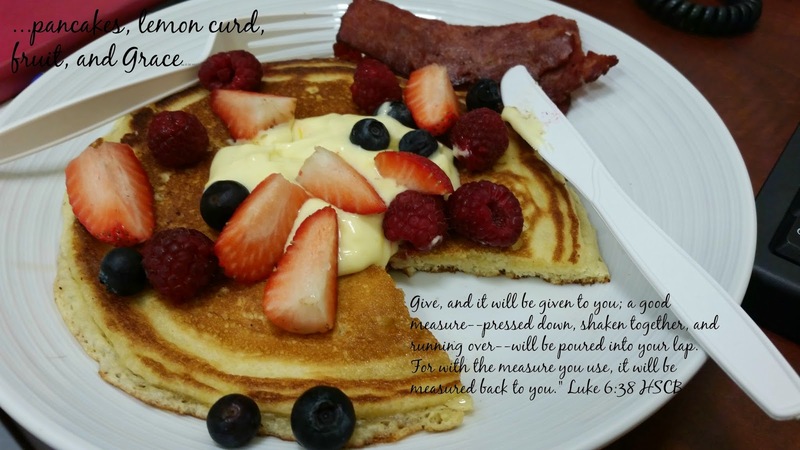 Treat Me To A Feast: Notes From My Abundant Life: ...pancakes,lemon curd, fruit, and Grace. Monday 19 Jan, I’m posting at 5 Minutes for Faith. I tell stories over there about my life as a Mid-Life Mama, and what my not-babies teach me every day. …like a spring of water, whose waters do not fail. clear that without water, without Living Water, we all die, and it’s not just about me. It’s about sharing the water, even if you are alone at the wellspring when the waters come, because each of us is our sister (brother)’s keeper. And our children are watching.